In January we were treated to a lovely break in Chester as a Christmas gift from my fabulous uncle. 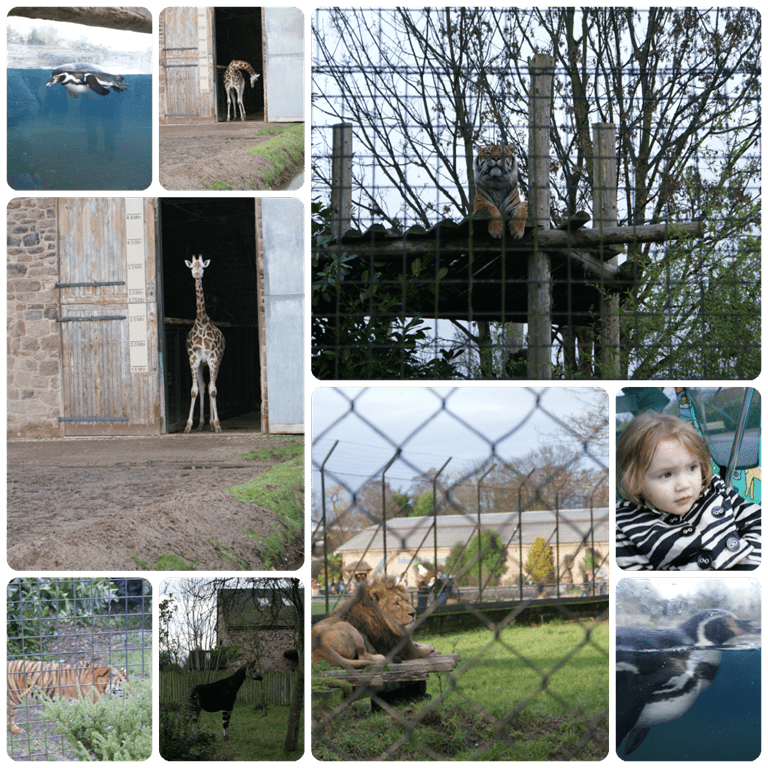 We were in desperate need of a break away and with Chester being within a suitable distance when travelling with a toddler it was the perfect get away for us. Staying at the lovely Cheshire Cat in Christleton which was just less than a 15 minute drive away from Chester Zoo. The morning of our zoo visit we were up bright and early, and we were lucky that the weather forecast was predicted to be a dry but cloudy day. 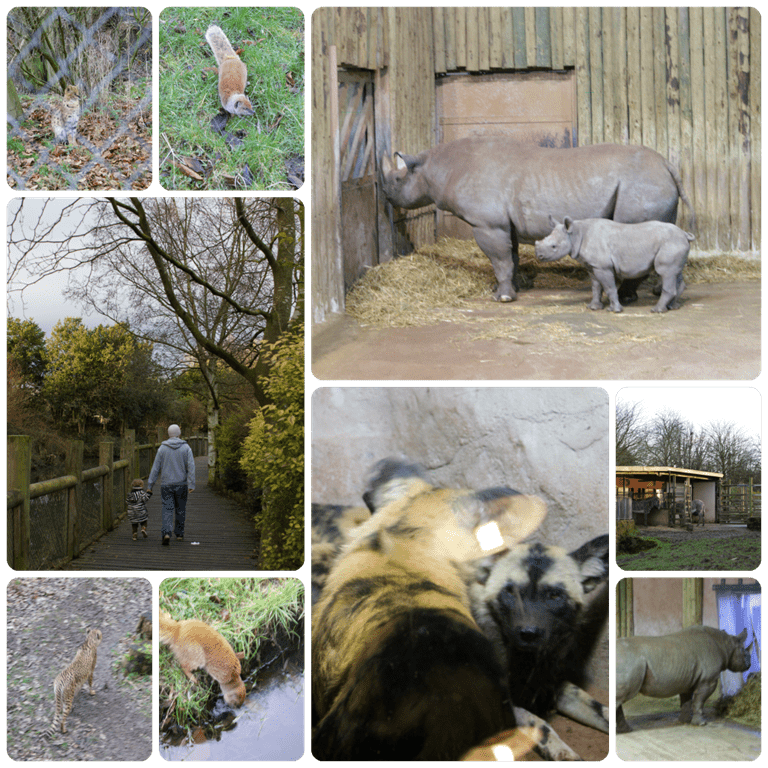 It had bee a while since the Mr and myself had been to Chester Zoo so the day ahead was quite exciting even for two adults and I know that with Isabelle being quite frankly animal crazy at present, the day would be equally as exciting for her to. She is finally at an age where she can recognise and point out the animals. On arrival we were able to park in the main car park due to the time and with it also being out of season it was actually rather quiet, I was quite grateful that parking was free for visitors as we had forgotten to bring any change along with us. We joined the queue for tickets into the zoo but they can be pre-booked via the website for quicker access into the park. I had a dreaded moment of realisation in our brief moment in the queue, we hadn’t brought a pram with us for the little lady which could cause a problem as from memory the zoo and it’s land were huge. Luckily the agent that was print off our receipts had heard our concerns and explained that we could hire a buggy from the zoomobility centre. I don’t think I have actually been more relieved than in that moment. Off we toddled to hire a Buggy for the day for the cost of £6 (plus a £10 refundable deposit) I can tell you now that it was worth every singe penny. We would not have survived the day without it. The buggy itself was surprisingly easy to steer despite it’s size and Isabelle was super impressed that it featured a steering wheel so that she could drive. Other mobility services were available to, with wheelchairs being free to use if needed. The zoo recommends that if a buggy is required then it’s best to pre-book one in advance to make sure that you get a buggy on the day. I would highly recommend hiring one especially if you have younger children. We were provided with maps which was a great help so that could plan our day and make sure that we visited every exhibit, we didn’t want to miss out on anything. We also discovered that the zoo had its very own free smartphone app that was suitable for android and iPhone devices, which included an interactive map that could show you your location in the park at any time, a day planner to help plan your day effectively, visitor and also animal information. Throughout the day we certainly made use of the interactive map and found it a little easier checking our phone occasionally to see where we were than having to pull out a map each time. We downloaded the android app which ran rather smoothly on our phones without any problems. 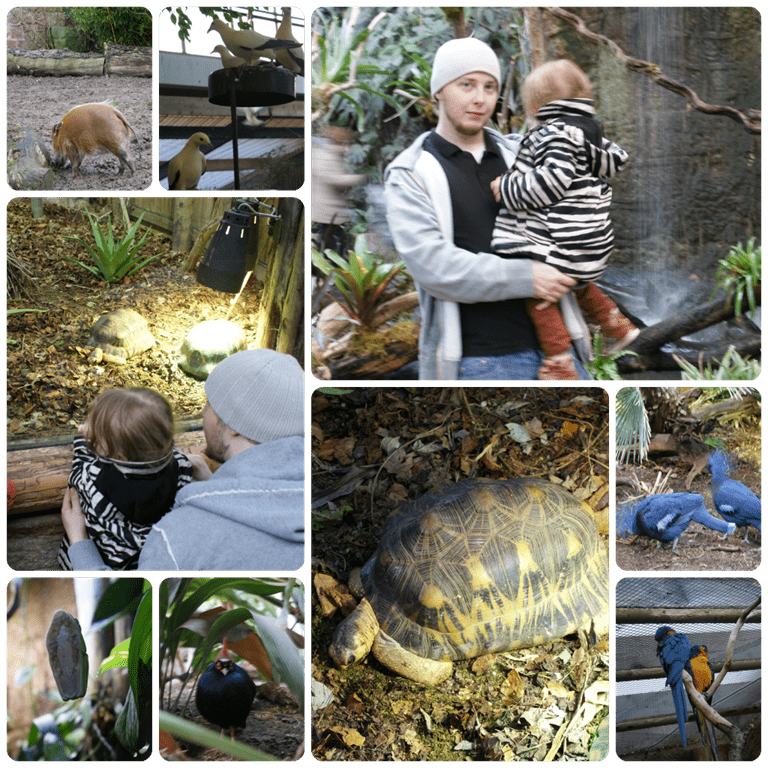 The zoo provides animal talks throughout the day but these change over the seasons so it’s best to check beforehand what talks are available so you don’t miss anything. I was a little apprehensive about how much Isabelle would understand and thought that she would have benefitted a little more if she were older but being a curious two year old just looking and observing the animals was enough. 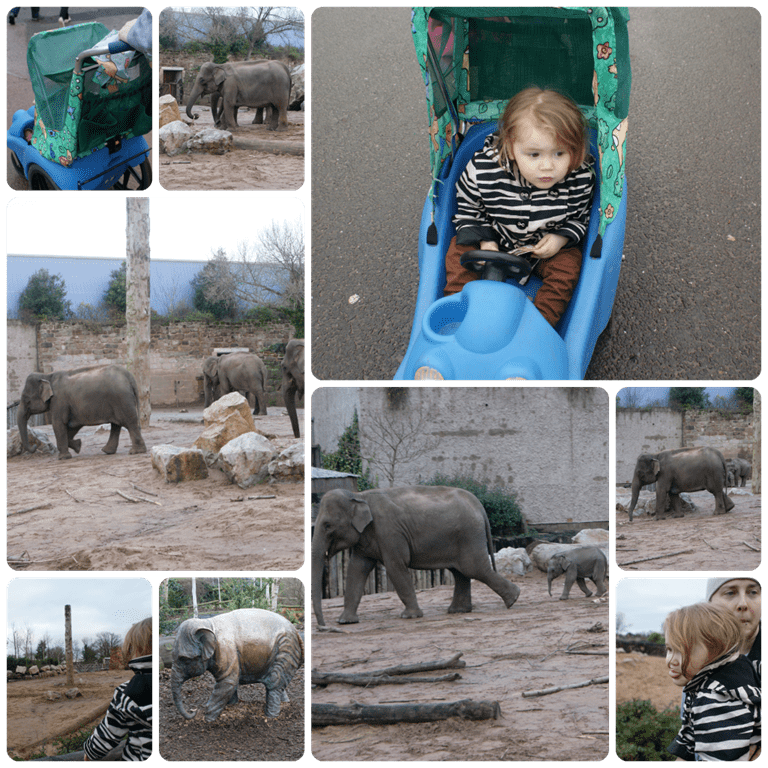 Our first stop of the day was to visit and see the elephants, this produced some rather high-pitched squeals from Isabelle who was trying to launch herself out of the buggy to get a closer look at the elephants. If you look closely enough at the pictures you might just see Bala Hi Way, one of the newest additions to the elephant enclosure at the zoo. Elephants are a firm favourite with us, Isabelle has been practising her elephant noises with her arm (trunk) and has told anybody who would listen about the “ayfunts” and the “baby ayfunts”. I don’t think she was quite expecting them to be so large though, it was a huge difference from the elephants she had seen in videos and to those in her playsets. Isabelle was also very curious when we visited the butterfly house but she had to remain in the the buggy due to the fragile nature of the butterflies. We had a few land on the buggy which caused lots of oohs and ahhs as we travelled around. Isabelle chattered away all the way around the zoo, asking questions, repeating the animals names and wanting to know what noise each animal made. She became very inquisitive and was very enthusiastic. As we visited the zoo out of season it wasn’t overly crowded, I don’t think the whole experience would have been as enjoyable to have taken her in peak season purely due to her age and size. Before I mentioned that we hired a buggy, well it was needed. The zoo is huge and covers a massive 110 acres overall, even my legs started to ache at the end of the day. 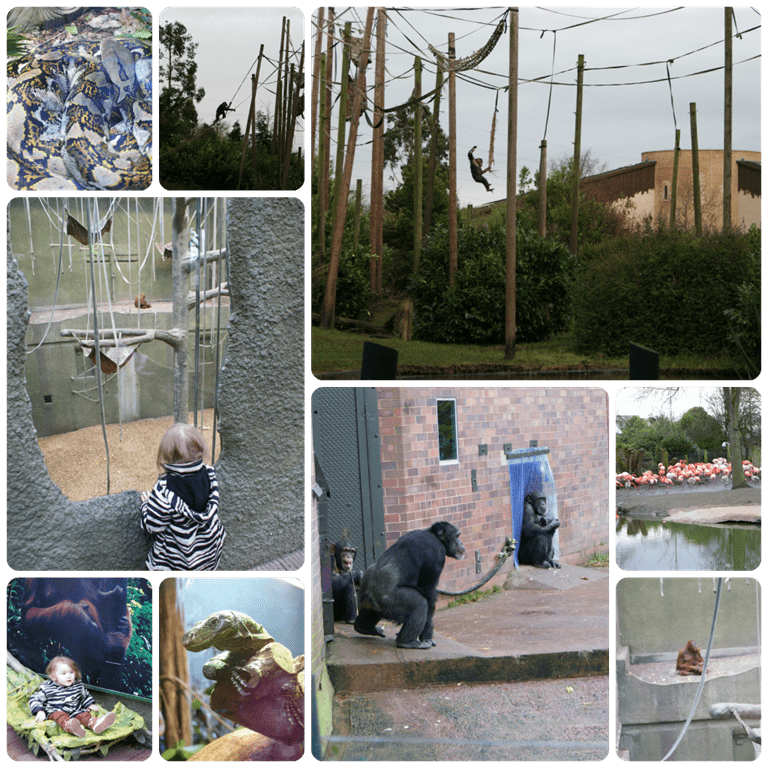 There were may highlights of the day, Isabelle loved the “raffs” (giraffes) the baby giraffe Kanzi in particular but was disappointed when we couldn’t tell her what noise they made. The penguins caused much excitement as they zoomed around under the water, producing giggles of pure delight from a toddler in awe. The most impressive animal of the day for Isabelle was the lion, so much so that we had to make numerous visits to them. She made sure to tell other visitors about the lions and roared at everyone. She didn’t even flinch when the male lion roared around the enclosure and wasn’t happy when we had to leave them to explore the rest of the zoo. Half way around the zoo, hunger struck and we struggled to find places to eat with it being out of season but sure enough we came across a large restaurant covers all types of fast foods and sandwiches. As expected it wasn’t cheap, we paid around £25 for three burgers and fries. The zoo has baby changing facilities which were surprisingly very clean as were the rest of the toilet facilities, again being out of season we didn’t have to queue which was a godsend with a demanding toddler. After refuelling for lunch on we went to visit the monkeys and Orang-utans, one of my favourite parts of the day was seeing Tuti, the new addition to the Orang-utans. She was tiny in the arms of her mother. We were lucky that they were sat in clear view right next to us so we got a rather good look. The ape realm was a lot busier than the rest of the zoo but we were still able to take our time. We missed the dinosaur exhibit purely because were were running out of time and wanted to squeeze in the rest of the park before we had to leave. The zoo also features a monorail to give you a good view of the park and also a water boat ride but we gave those a miss, next time we visit though we shall be sure to take a ride. 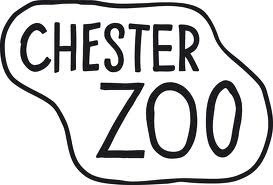 Chester Zoo had recently had a baby boom with lots of new additions to the exhibits which is due to the zoo being a centre for global conservation and research, and passionate campaigners for wildlife. Through out the day we were lucky to see the new baby animals like Chanua the black rhino and her protective mother. Unfortunately we didn’t get a glimpse at the new addition to the giant ant eaters, it was rather cold and we were told that the mother and baby were currently having a well needed snooze. The whole day was mesmerizing, and we could have stayed their longer if we were allowed but unfortunately it was time for the zoo to start closing which meant we have no time to visit the gift shop, although I am secretly relieved as I know Isabelle would have found a lot of souvenirs for her trip to the zoo. 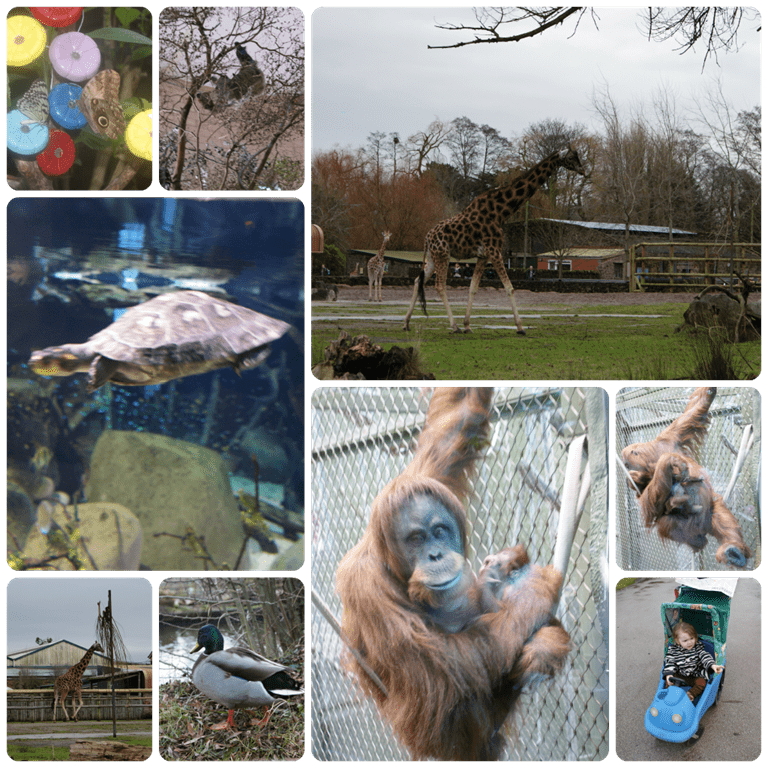 We’re very much looking forward to returning to the zoo in the summer months. 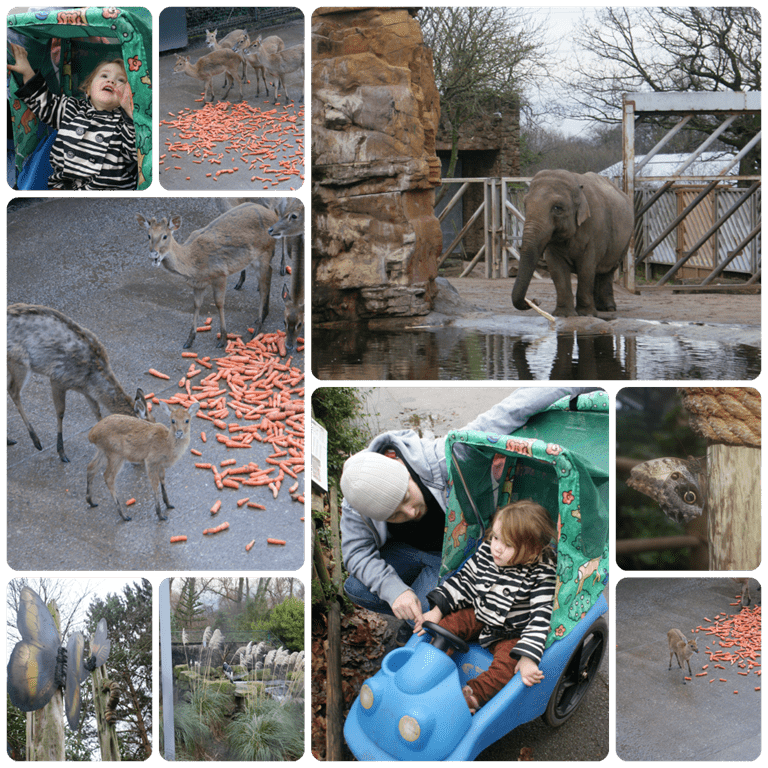 Overall we had a lovely family day out together at the zoo and it was well worth the £16 per adult entrance fee, Isabelle being 2 was able to enter the zoo for free. The park is open from 10:00 AM and closes at 5:30 PM with the last entry being admitted 1 hour before closing.